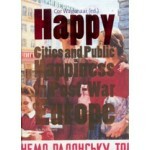 Happy, Cities and Public Happiness in Post-War Europe is the account of a fascinating search for expressions and representations of happiness in the European city of the second half of the 20th century. 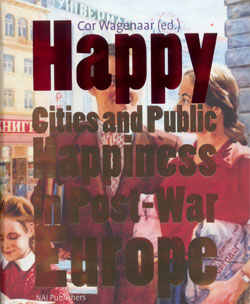 Images of happiness in which there is a relationship between three elements happiness, city and space have been collated and analysed from the whole of Europe, from Ukraine in the east to the Netherlands in the west, from Rovanieimi in the north to Marbella in the south. The study of more than 50 cities performed by local experts and coordinated by an international research team presents a picture that transcends the incidental and reveals fundamental motifs in the dynamic of our thinking about the city. This book is an eye-opener. It casts light on areas which have disappeared from the cultural consciousness of Western Europe and confronts us with a theme that ties in directly with recent European history. Thanks in part to an abundance of wonderful postcards, posters and photographs, this book explores terrain that will spark the imagination of a general readership as much as design professionals.